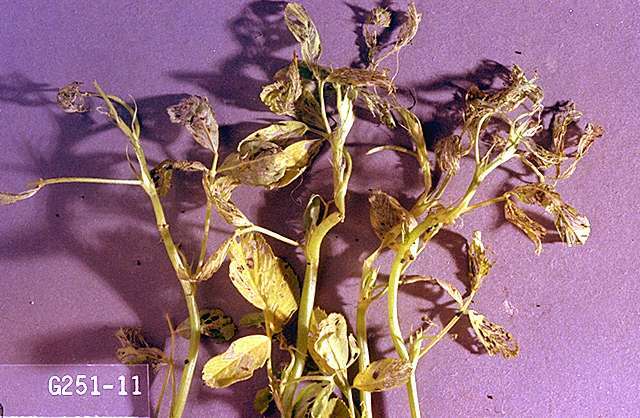 Pest description and crop damage The alfalfa looper is native to the PNW. The adult is a gray moth with a wingspan of about 38 mm. 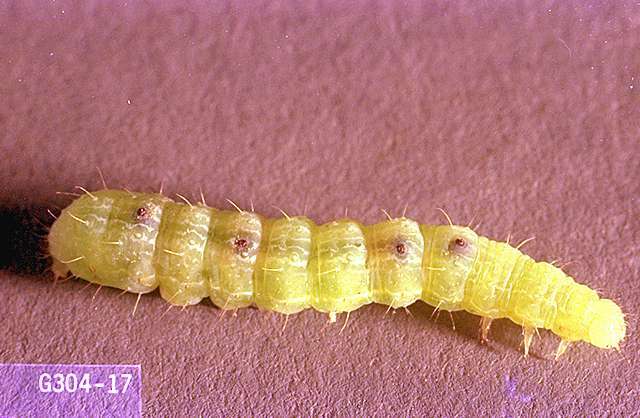 Mature larvae are about 25mm long and are dark olive-green with a lighter head. They move in a looping fashion. They are general feeders and, in addition to potentially causing damage to alfalfa fields, they feed on other forage crops, cereals, weeds, berry crops, vegetables, ornamental and woodland trees and shrubs. The larvae feed on leaves, causing ragged-edge holes in the leaf and on the leaf margins. More importantly, they may contaminate mechanically harvested berries. Biology and life history Alfalfa loopers overwinter as pupae either in the soil or in organic debris near the base of host plants. 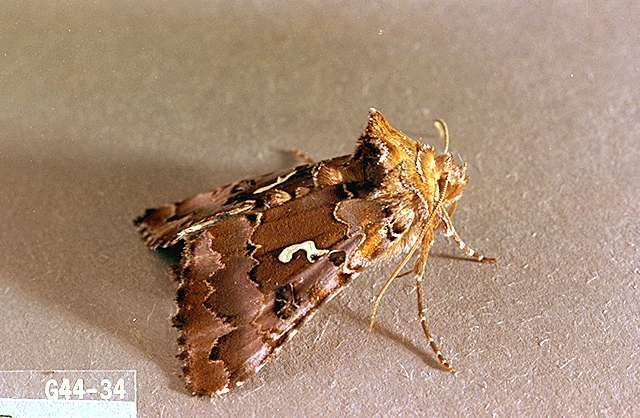 Moths begin emerging in late spring and adults lay eggs singly on weed hosts (mostly brassicas). Eggs hatch in 3 to 5 days and larvae feed for about two weeks before pupating in cocoons on the host plant or in organic debris. Adults emerge in about seven days (total development time from egg to adult requires about 30 days). Once adults emerge, they mate, and females deposit eggs as before, about three days after emerging. Damage is most evident in June and July, and again in September and October. There are three or four generations each year. Many predators and parasites combine to substantially maintain looper populations at low levels. 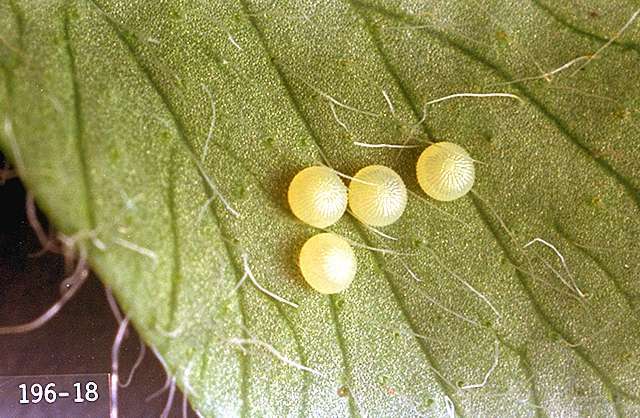 The eggs and small larvae are attacked by bigeyed bugs, minute pirate bugs, and other predators. Larvae can be hand-picked if found. Bacillus thuringiensis (Bt) (several brands)-Consult label for rate. PHI 0 days. Do not use DiPel ES with captan fungicide; the mixture will bronze foliage. Some formulations are OMRI-listed for organic use. methoxyfenozide (Intrepid 2F) at 0.16 to 0.25 lb ai/a. PHI 3 days. Begin applications at first egg hatch or to young larvae when infestations are detected. spinetoram (Delegate WG) at 0.05 to 0.09 lb ai/a. PHI 1 day.